French polish station and gourmet food station. 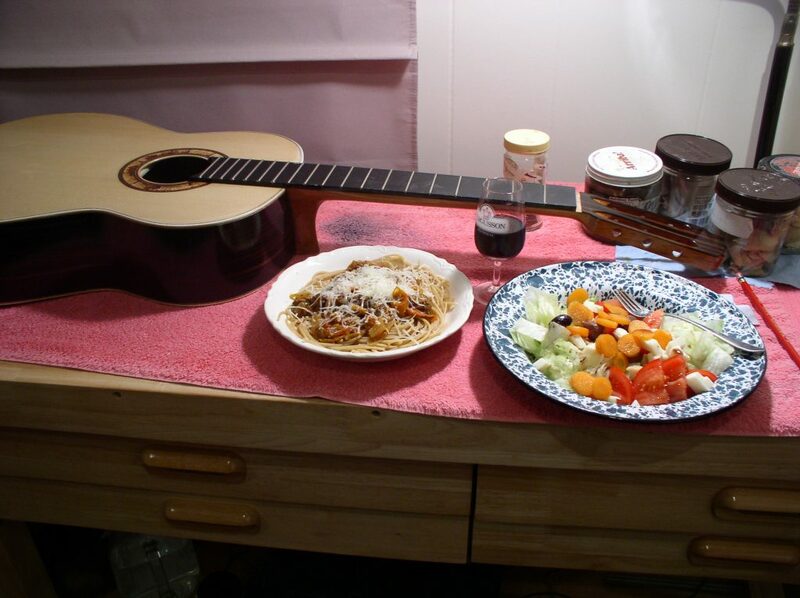 French polish, whole wheat spaghetti with sauce made from my garden, salad, and a glass of wine. 1 Response to Table for one. Now that looks like a well balanced meal! Yummm!